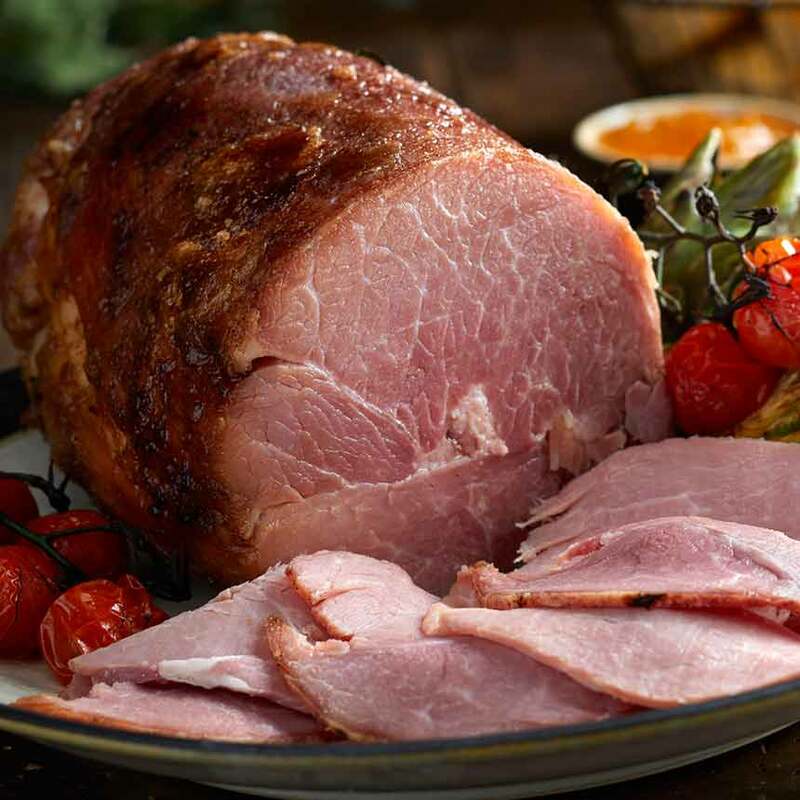 This cooked version of the Bone-In Country Ham is smoked with hickory wood, aged 4 to 6 months to and coated with brown sugar and honey to produce a memorably rich flavor. 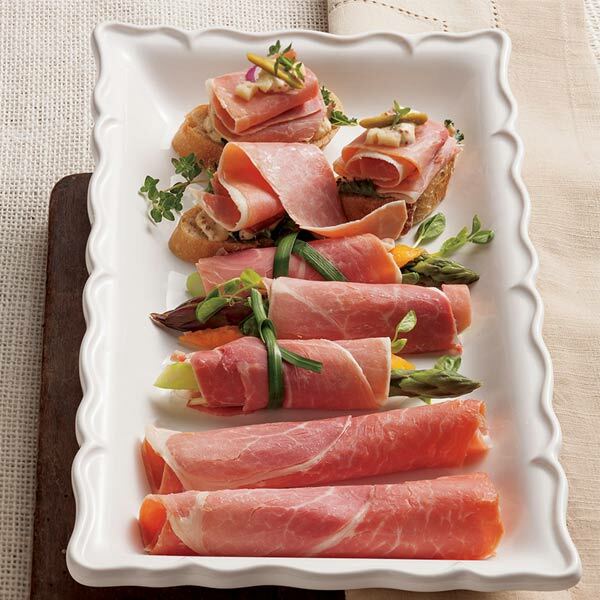 Each ham is individually glazed and the result is a savory sweet coating that combines perfectly with the country ham's hickory taste. Fully cooked, it arrives ready to be heated, sliced and served. 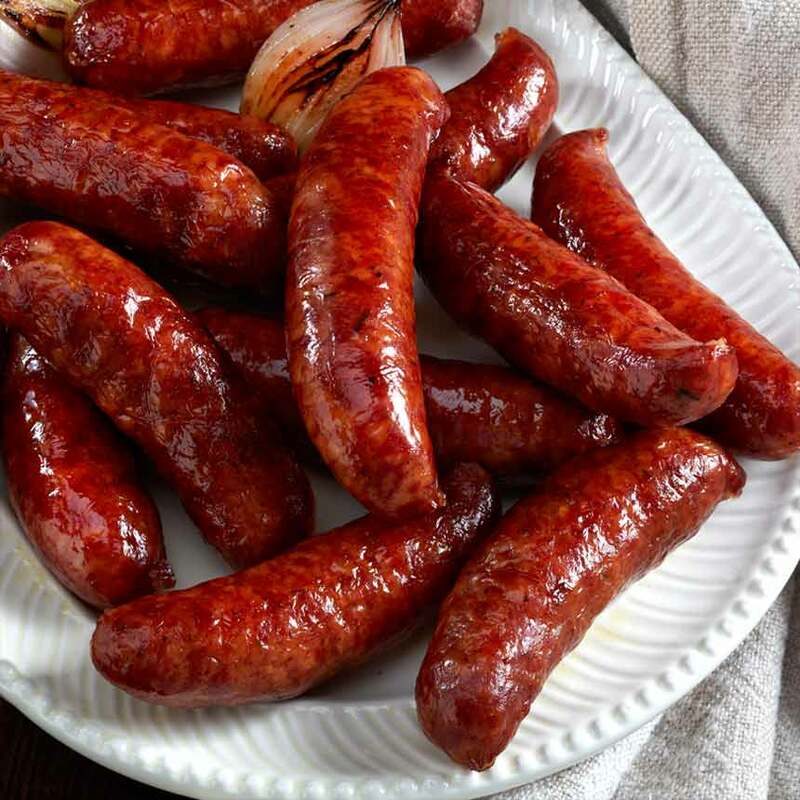 Makes a feast for the family in minutes. 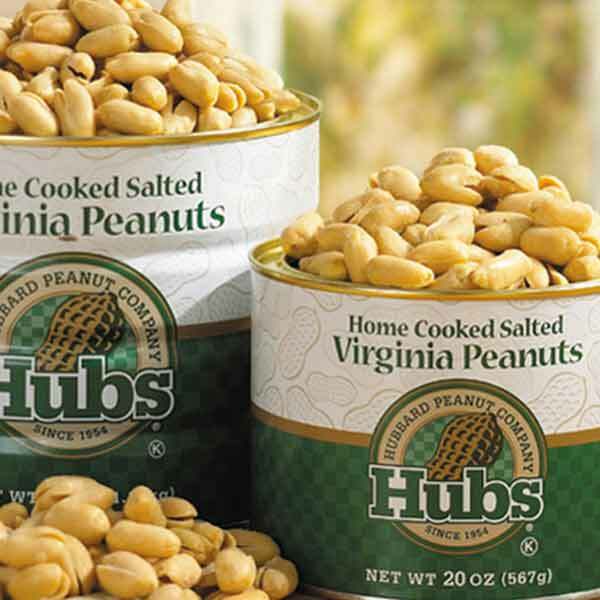 Ideal for your at-home dining celebration, or as gifts for family, friends and coworkers. Serves 40-45. Ingredients: ham, salt, brown sugar, sodium nitrate, black pepper and sodium nitrite. Glazed with: brown sugar, sugar, sweetener (refinery sugar, honey), spice and natural spice extractives. Storage: Refrigerate upon arrival. Ships frozen. Allow 2-3 days for the ham to thaw. If not to be used within 28 days, freeze for up to 6 months. If the vacuum seal is broken while under refrigeration, the ham will need to be used within a week or frozen. Serving: This product is ready to eat. 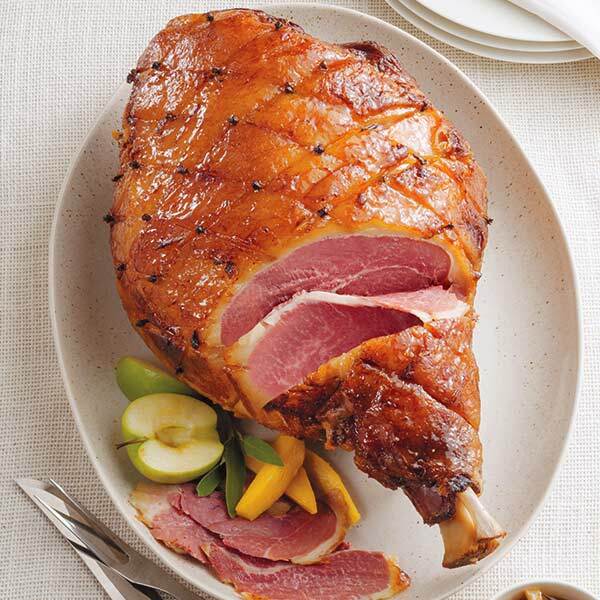 For best results, we recommend padding the surface of the ham all over with light brown sugar. Then, re-heat the ham in an oven for about 35 minutes at 350 degrees F. Carving: Use a very sharp knife to cut very thin slices. With ham fat side up, begin slicing about 2 inches from the hock, or small end of the ham. Make the first cut straight down. Slant the knife slightly for each succeeding cut. Decrease slant as slices become larger. Still Awesome!!!!! No other Country Ham comes close!!!! The ham I ordered after the fire was still good but not as good as the ones I have ordered before (the fire). This would be okay if one has not tasted your original. The ones made in your facility had the pungent flavor that distinguishes your country ham from others. I was so glad I found your company as I had been looking for the kind I was used to while growing up.